This event is suitable for all with a selection of route options for the leisure cyclist to the club racer as well as a track cycle to suit families and the budding cyclist. The 30,50 & 70 routes will be marshalled with backup support and food stops. Hot showers & changing facilities are available on site. 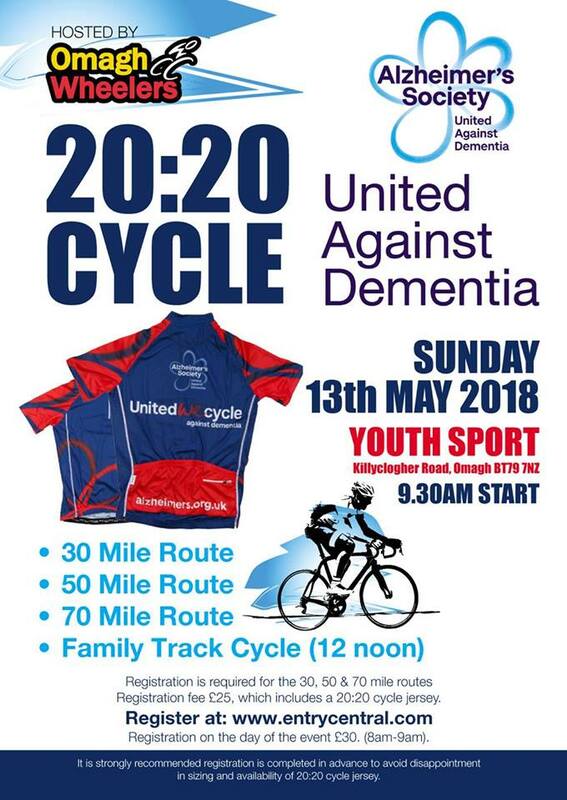 Registration Price of £25 includes United Against Dementia Jersey & BBQ. Cancellation - We cannot refund entry fee once application has been processed. Personal information will not be passed on to any third parties.